This photograph is of inmates Marshall F. Williams, 9162, and Ben Lyons, 9518. Marshall F. Williams was received at the Kansas State Penitentiary on December 4, 1899 from Saline County, Kansas for grand larceny. 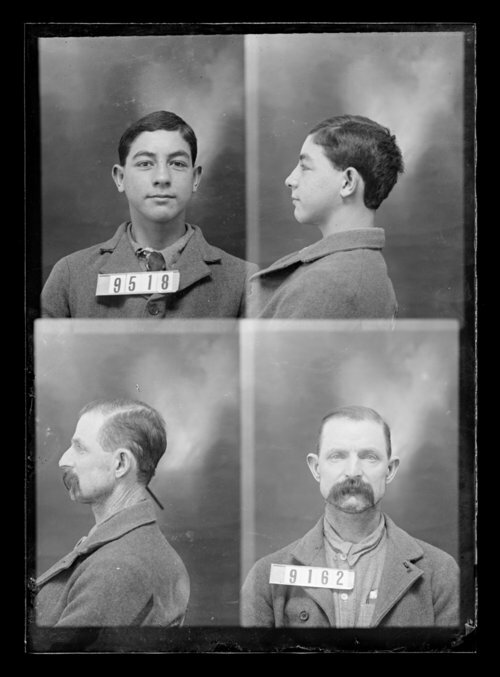 Ben Lyons was received at the penitentiary on November 2, 1900 from Cleveland County, Oklahoma for larceny of domestic animals. He was sentenced on October 26, 1900.